Well, it’s official, DC movies are almost indistinguishable from Marvel’s now. Except that, unlike the latter, the former now completely lack any artistic intent and have forgone any deeper overarching storytelling. 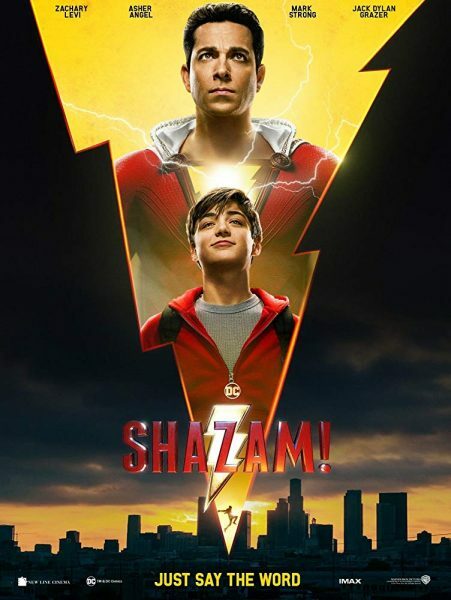 Sure, as a superhero movie targetted for mass audiences, Shazam! gets the job done. Likeable hero, a plethora of jokes and slapstick moments, with an all too obvious play for thematic depth. Still, as an origin story, it was more effective than Aquaman’s awful tone-deaf mess, exploiting the original Captain Marvel’s Golden Age charm to the hilt – do kids say “Holy Moley” anymore? AND can Zachary Levi be any cuter?- that it was hard not to give Shazam! at least a thumbs up! But yes, there are flaws. Dr. Sivana has been morphed into Black Adam. This makes no sense at all. Why not use Black Adam then? For the uninitiated, Dr. Sivana was never an evil version of “Shazam” but a mad scientist in the Lex Luthor mould. Totally jarring. Mind you, Mark Strong does a good job as usual BUT this could have been amazing if only Black Adam (with The Rock) was the villain instead. Lost opportunity, for sure. In many respects, Shazam! reminded me of an inferior Ant-Man movie where the themes of family and redemption hit similar beats. But of course, as always, Ant-Man edges in front due to the character being part of a well-crafted shared universe which adds texture and weight to the movie. Sure, Shazam! will probably do well at the box office which will only reinforce Warner Bros’ current approach to maintain standalone character movies, meaning the DC Extended Universe will never ever come close to the Marvel Cinematic Universe and will carry as much significance as those Andrew Garfield Spider-Man movies and the last couple of risible X-movies.